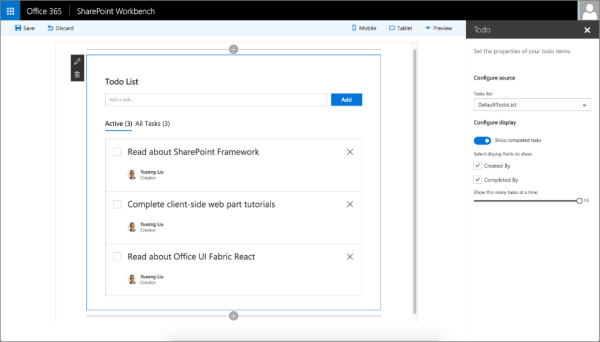 Read the details in the Office Dev Center in SharePoint Framework Developer Preview Release! Find the documentation of the Preview Release on https://github.com/SharePoint/sp-dev-docs/wiki. Feedback can be provided at UserVoice, and the related GitHub repos. Check it out and try it out! PS: See the (german) blogpost Einführung in das neue SharePoint Framework for an overview at a glance as well.